Mail4Rosey: ShedRain Umbrella. Too Good to be a Stocking Stuffer! ShedRain Umbrella. Too Good to be a Stocking Stuffer! 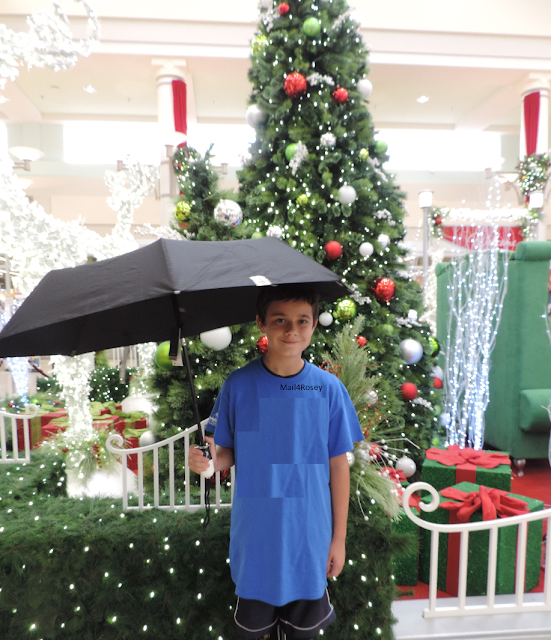 ShedRain umbrellas are too good to be stocking stuffers. This high quality DualMatic umbrella in piano black with a white grip is from the Stratus Collection. It can be opened and closed automatically with one hand, in just an instant (literally, it's fast). It folds up nice and small and makes it easy to take on the go. The small size would also make it a great stocking stuffer, but you don't want to put this in a stocking...it's too good for that, honest. Wrap it up in the prettiest paper, add a beautiful bow and make this a luxury gift for any lucky recipient on your holiday to-buy-for list! The double arrow on the handle allows you to choose open or close, and let me tell you, the handle is a nice, sturdy quality that feels very comfortable in your hand. It is true that ShedRain umbrellas are a bit pricier than you might be used to, but that's okay, they are the perfect indulgence gift and to me, worth every penny! Learn more about ShedRain by visiting their website. You can also follow them on Facebook, Instagram and/or Twitter. Comments are turned off for this post. Please feel free to share on social media!